Pixel 2: Did Google kill the dual photo sensors? Home » Pixel 2: Did Google kill the dual photo sensors? In vogue since last year, are the dual cameras of smartphones already outdated? Google is able to achieve a convincing bokeh effect with only one sensor on Pixel 2 and Pixel 2 XL but there are other uses for a dual sensor. From the Huawei P9 to the Samsung Galaxy Note 8 the dual camera was visibly one of the check boxes in the checklist of a high-end smartphone in the last two years. Some, like the same Samsung with the Galaxy S8 have been deadlocked on some models, but it is mostly Google, when announcing its new Pixel 2 and Pixel 2 XL boasted to have only one sensor, while being able to do without one of the main functionalities for which they are used: simulation of bokeh. Pixel 2: a bokeh effect with only one sensor, it’s blurry! Google Pixel 2: a stronger sensor than two? Google Pixel 2: a sensor stronger than two? Reproducing the depth-of-field blur of a SLR with a smartphone camera requires software processing that detects the subject and blurs the background. To achieve these ends, the information from the two sensors is combined to map the depth of the scene. Google pixels combine, to achieve a similar result, the pixels of the photo sensor which, as on the Samsung Galaxy S7 for example, are doubled: a pixel to capture the light, used for autofocus. By comparing these two very slightly offset images, the Pixel 2 obtains information that is about as usable as that of the dual sensors of a iPhone 8 Plus or Huawei P10 . Infomation completed by the other pillar of the method Google: the use of “ machine learning ” to more effectively detect the contours of the subject. The various tests that are emerging these times bring different conclusions on the quality of the final result between iPhone 8 Plus and Pixel 2, but one can still conclude that the Pixel 2 and Pixel 2 XL manage to perform a fairly successful simulation of the depth of field blur. Is it then the premature end of dual cameras? This is forgetting that if the portrait mode is often cited as their main use, because the most spectacular, it is not the only one. If only because there are at least three different uses of this configuration. The main benefit of the iPhone 7 Plus, taken from the iPhone 8 Plus and X, is the presence of two different focal lengths, the second sensor allowing a 2X optical zoom and digital zooms with less of loss, since starting from this 2X. Finally, under ideal conditions, because it is not stabilized, the second optic is simply deactivated by default when the illumination conditions are not sufficient. This problem should be eliminated with the iPhone X whose secondary optics are stabilized. 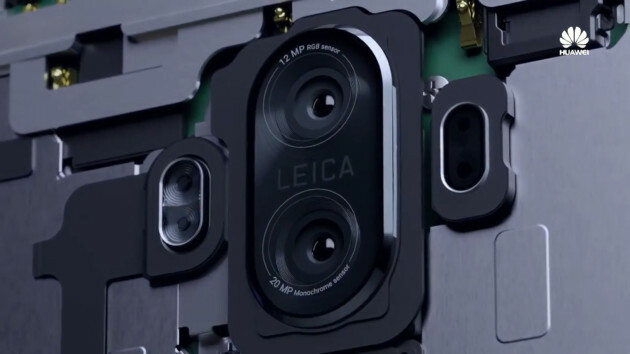 Huawei drew before Apple his dual camera, benefiting from a collaboration with Leica. Huawei’s approach uses an RGB sensor and a monochrome sensor to more accurately capture details and combine this information with those of the color sensor. But above all, for the happiness of mobile photographers, we can use this black and white solo sensor, and it is a treat. Since the Mate 9, Huawei has passed the resolution of the secondary sensor from 12 to 20 Megapixels, and is also used for a hybrid digital zoom, offering variable but sometimes convincing results. LG, finally, goes in the opposite direction to that of Apple, where the “Normal” Megapixels 16 Megapixels is associated with a 13 Megapixel wide angle, allowing to move without moving back and make much more of elements of the scene in the frame, at the price of course of a slight deformation. As many uses as all the artificial intelligence, also used on the iPhone X and the new Huawei Mate 10 Pro could not replace completely. If Google has obviously designed a convincing way to simulate “bokeh” with a single photo sensor, double objectives retain their interest for more specific uses. From this to say that they still have their usefulness, it will depend above all on the importance of portrait mode compared to the other functionalities in the decision of purchase of the users.